OHRD is proud to share another one of our 2018 sponsors: Transformation Athletics! Transformation Athletics was born when former charter skater, The Smacktivist, saw a need in the community for body-positive fitness training. The key principles of Transformation Athletics are: all bodies are good bodies, all bodies are worthy of love, all humans deserve access to trauma-informed modalities of healing, and fitness is for everyone. Taking a trauma and mental health informed approach to coaching, Max works to empower their clients to make healthy choices based on their individual needs. 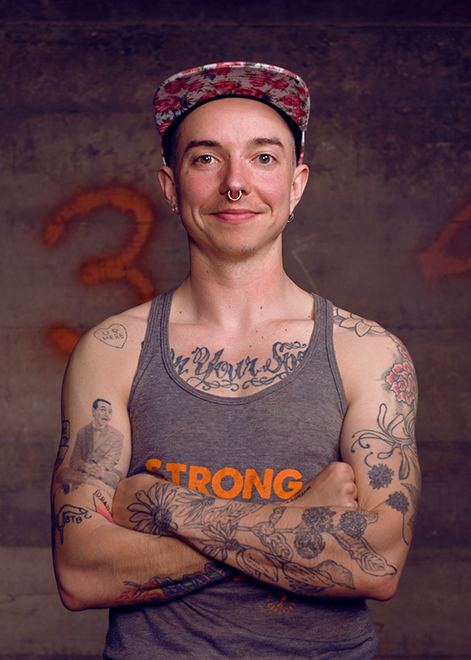 Max is an ISSA certified personal trainer and corrective exercise specialist and enjoys working with the trans and queer community, and athletes alike, to help folks find healing in strength.